Procedures - also known as functions, methods, routines, or subroutines - that take input, generate output, and manipulate data. Modern languages include structured programming constructs like loops and conditionals. Languages that support classes almost always support inheritance. This allows classes to be arranged in a hierarchy that represents "is-a-type-of" relationships. For example, class Employee might inherit from class Person. All the data and methods available to the parent class also appear in the child class with the same names. For example, class Person might define variables "first_name" and "last_name" with method "make_full_name". These will also be available in class Employee, which might add the variables "position" and "salary". This technique allows easy re-use of the same procedures and data definitions, in addition to potentially mirroring real-world relationships in an intuitive way. Rather than utilizing database tables and programming subroutines, the developer utilizes objects the user may be more familiar with: objects from their application domain. Subclasses can override the methods defined by superclasses. Multiple inheritance is allowed in some languages, though this can make resolving overrides complicated. Some languages have special support for mixins, though in any language with multiple inheritance, a mixin is simply a class that does not represent an is-a-type-of relationship. 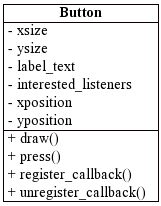 Mixins are typically used to add the same methods to multiple classes. For example, class UnicodeConversionMixin might provide a method unicode_to_ascii when included in class FileReader and class WebPageScraper, which don't share a common parent. Terminology invoking "objects" and "oriented" in the modern sense of object-oriented programming made its first appearance at MIT in the late 1950s and early 1960s. In the environment of the artificial intelligence group, as early as 1960, "object" could refer to identified items (LISP atoms) with properties (attributes); Alan Kay was later to cite a detailed understanding of LISP internals as a strong influence on his thinking in 1966. Another early MIT example was Sketchpad created by Ivan Sutherland in 1960-61; in the glossary of the 1963 technical report based on his dissertation about Sketchpad, Sutherland defined notions of "object" and "instance" (with the class concept covered by "master" or "definition"), albeit specialized to graphical interaction. Also, an MIT ALGOL version, AED-0, established a direct link between data structures ("plexes", in that dialect) and procedures, prefiguring what were later termed "messages", "methods", and "member functions". I find OOP technically unsound. It attempts to decompose the world in terms of interfaces that vary on a single type. To deal with the real problems you need multisorted algebras -- families of interfaces that span multiple types. I find OOP philosophically unsound. It claims that everything is an object. Even if it is true it is not very interesting -- saying that everything is an object is saying nothing at all. ^ Kindler, E.; Krivy, I. (2011). "Object-Oriented Simulation of systems with sophisticated control". International Journal of General Systems: 313-343. ^ Ali, Junade (28 September 2016). Mastering PHP Design Patterns | PACKT Books (1 ed.). Birmingham, England, UK: Packt Publishing Limited. p. 11. ISBN 978-1-78588-713-0. Retrieved 2017. ^ Jacobsen, Ivar; Magnus Christerson; Patrik Jonsson; Gunnar Overgaard (1992). Object Oriented Software Engineering. Addison-Wesley ACM Press. pp. 43-69. ISBN 978-0-201-54435-0. ^ a b "Dr. Alan Kay on the Meaning of "Object-Oriented Programming"". 2003. Retrieved 2010. ^ Ross, Doug. "The first software engineering language". LCS/AI Lab Timeline:. MIT Computer Science and Artificial Intelligence Laboratory. Retrieved 2010. ^ Holmevik, Jan Rune (1994). "Compiling Simula: A historical study of technological genesis" (PDF). IEEE Annals of the History of Computing. 16 (4): 25-37. doi:10.1109/85.329756. Retrieved 2018. ^ Dahl, Ole Johan (2004). "The Birth of Object Orientation: The Simula Languages" (PDF). From Object-Orientation to Formal Methods. Lecture Notes in Computer Science. 2635. pp. 15-25. CiteSeerX 10.1.1.133.6730. doi:10.1007/978-3-540-39993-3_3. ISBN 978-3-540-21366-6. Retrieved 2018. ^ Kay, Alan. "The Early History of Smalltalk". Archived from the original on 10 July 2008. Retrieved 2007. ^ Neward, Ted (26 June 2006). "The Vietnam of Computer Science". Interoperability Happens. Archived from the original on 4 July 2006. Retrieved 2010. ^ M.Trofimov, OOOP - The Third "O" Solution: Open OOP. First Class, OMG, 1993, Vol. 3, issue 3, p.14. ^ Wirth, Nicklaus (2006). "Good Ideas, Through the Looking Glass" (PDF). Computer. 39 (1): 28-39. doi:10.1109/mc.2006.20. Retrieved 2016. ^ Yegge, Steve (30 March 2006). "Execution in the Kingdom of Nouns". steve-yegge.blogspot.com. Retrieved 2010. ^ Boronczyk, Timothy (11 June 2009). "What's Wrong with OOP". zaemis.blogspot.com. Retrieved 2010. ^ Ambler, Scott (1 January 1998). "A Realistic Look at Object-Oriented Reuse". www.drdobbs.com. Retrieved 2010. ^ Shelly, Asaf (22 August 2008). "Flaws of Object Oriented Modeling". Intel Software Network. Retrieved 2010. ^ James, Justin (1 October 2007). "Multithreading is a verb not a noun". techrepublic.com. Archived from the original on 10 October 2007. Retrieved 2010. ^ Shelly, Asaf (22 August 2008). "HOW TO: Multicore Programming (Multiprocessing) Visual C++ Class Design Guidelines, Member Functions". support.microsoft.com. Retrieved 2010. ^ Robert Harper (17 April 2011). "Some thoughts on teaching FP". Existential Type Blog. Retrieved 2011. ^ a b Cardelli, Luca (1996). "Bad Engineering Properties of Object-Oriented Languages". ACM Comput. Surv. 28 (4es): 150-es. doi:10.1145/242224.242415. ISSN 0360-0300. Retrieved 2010. ^ a b Stepanov, Alexander. "STLport: An Interview with A. Stepanov". Retrieved 2010. ^ Potok, Thomas; Mladen Vouk; Andy Rindos (1999). "Productivity Analysis of Object-Oriented Software Developed in a Commercial Environment" (PDF). Software - Practice and Experience. 29 (10): 833-847. doi:10.1002/(SICI)1097-024X(199908)29:10<833::AID-SPE258>3.0.CO;2-P. Retrieved 2010. ^ Krubner, Lawrence. 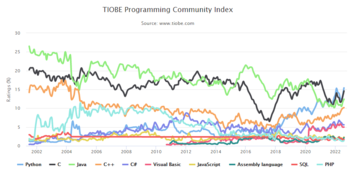 "Object Oriented Programming is an expensive disaster which must end". smashcompany.com. Retrieved 2014. ^ Graham, Paul. "Why ARC isn't especially Object-Oriented". PaulGraham.com. Retrieved 2009. ^ Brodie, Leo (1984). Thinking Forth (PDF). pp. 92-93. Retrieved 2018. ^ Hunt, Andrew. "Don't Repeat Yourself". Category Extreme Programming. Retrieved 2018. ^ a b Eric S. Raymond (2003). "The Art of Unix Programming: Unix and Object-Oriented Languages". Retrieved 2014. ^ Pike, Rob (2 March 2004). "[9fans] Re: Threads: Sewing badges of honor onto a Kernel". comp.os.plan9 (Mailing list). Retrieved 2016. ^ Pike, Rob (25 June 2012). "Less is exponentially more". Retrieved 2016. ^ Pike, Rob (14 November 2012). "A few years ago I saw this page". Retrieved 2016. ^ Poll, Erik. "Subtyping and Inheritance for Categorical Datatypes" (PDF). Retrieved 2011. ^ a b Abadi, Martin; Cardelli, Luca (1996). A Theory of Objects. Springer-Verlag New York, Inc. ISBN 978-0-387-94775-4. Retrieved 2010. Armstrong, Deborah J. (February 2006). "The Quarks of Object-Oriented Development". Communications of the ACM. 49 (2): 123-128. Bibcode:1985CACM...28...22S. doi:10.1145/1113034.1113040. ISSN 0001-0782. Retrieved 2006. Harmon, Paul; William Morrissey (1996). The Object Technology Casebook - Lessons from Award-Winning Business Applications. John Wiley & Sons. ISBN 978-0-471-14717-6. Kay, Alan. The Early History of Smalltalk. Archived from the original on 4 April 2005. Retrieved 2005. Pecinovsky, Rudolf (2013). OOP - Learn Object Oriented Thinking & Programming. Bruckner Publishing. ISBN 978-80-904661-8-0. Taylor, David A. (1992). Object-Oriented Information Systems - Planning and Implementation. John Wiley & Sons. ISBN 978-0-471-54364-0.